Higher, faster, more pooowwweer !!!! The exciting Athletics Sport 2016 launched with the German 38. Deaf Indoor Athletics Championships on 02/13/2016 in Ludwigshafen. There were registered for various athletics disciplines more than 100 sportsmen / women from 10 associations. In the male category 42 competitions will be held and in the female section 26 disciplines. In addition to the championships for young people and adults and the student classes and even the Bambinis were, that "Small athletes / inside" under 8 (U8) at the start. It was noticeable that many new faces at the start were. This promised exciting competitions also and especially for the already well-known athletes / inside. Whether there perhaps came to other placements or perhaps even a victory could be snatched away, you can look up in results on the website of the DGS-Leitathletik. About the numerous spectators and we were very pleased. Some athletes / inside could qualify for these Deaf Championships in August 2016 in Karlsruhe. Organized this the GSC Frankenthal had a great team, they ensured a smooth process and also for good food. In summer 2016, we are German Deaf Sports Youth and division Athletics host country for Youth Athletics Championship in Karlsruhe. We are delighted that we can host the international competitions of "youth" in Germany for the first time. A total of 18 nations will participate. The Europe looks at Karlsruhe. The athletes have trained long, now want the German Deaf Sports Youth and Athletics division enthralling and clean athletics games. Under the program, the German Deaf Sports Youth offers a sports summer camp. 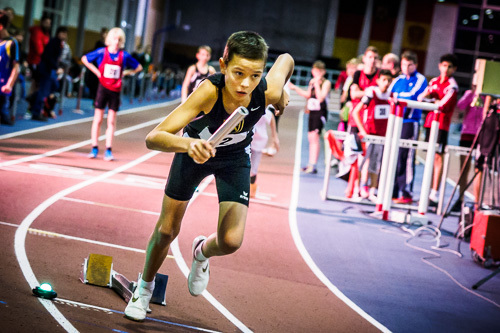 Do you want to know about the background of the European Athletics Junior more ? ?